On Monday, there was a dazzling 6yo rye. On Wednesday, there was a curious but very good 7yo rye. Today, it's an 8 year old rye. Cocoa, tobacco and smoky toffee register loudest in the nose. Then cherry medicine, saline, apricot jam and mint. There's also a considerable phenolic/medicinal/bandage note floating around. The palate leads with toffee, citrus, pine sap and a crisp rye zing. The citrus and sweetness grow with time, but are kept in check by a burly pepperiness. The looooong finish is boldy tangy and earthy. Full of cloves and brown sugar. This is a grand warm winter rye. Reading-by-the-fireplace stuff. Willett emptied this barrel right on time. At 8 years, the spirit has matured well, picking up depth and darkness (if I may be esoteric) without even a whisper of vanilla, butter or sawdust to be found. It's highly recommended, though I doubt a single bottle of this barrel remains on any primary market. All three of these ryes are recommended, and they bested all three of last week's Willett bourbons. Because the American secondary market remains an illegal operation, I cannot publicly suggest you purchase these bottles secondhand. 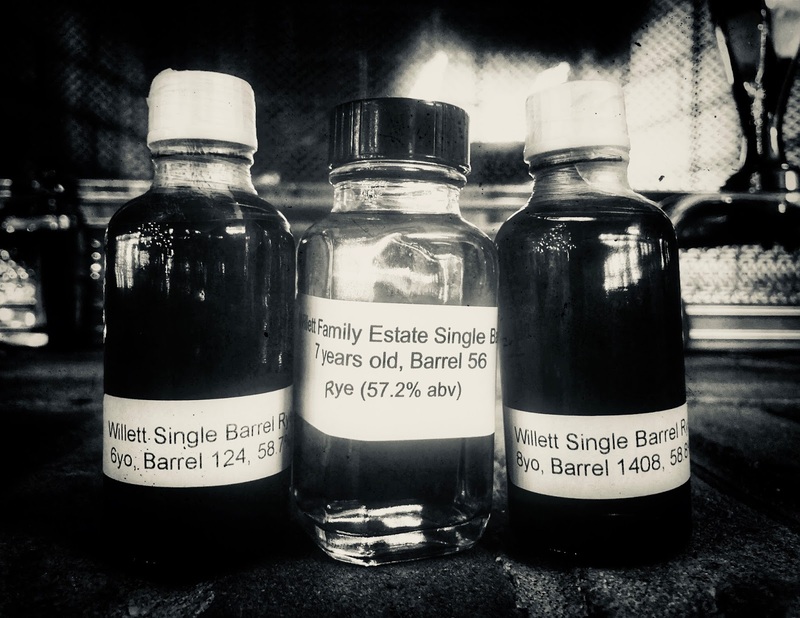 But as far as I can tell that's the only way to buy Willett single barrel MGP ryes, unless the distillery still puts them on their gift shop shelves. Good luck hunting one down!